WHEN IS AN IOT PLATFORM NECESSARY? What exactly is an IoT Platform? Simply put, it’s the glue that holds the system together — a software platform for system integration. In a previous article, we defined the Internet of Things as a network of “things” connected by remote sensors, digital communication networks, and software to gather raw data and transform it into concrete intelligence for decision-makers in the organization. Within this broad definition, one of the aspects of an IoT system that we mentioned was the importance of an IoT “platform”. Now, we want to spend more time explaining platforms in regards to an IoT ecosystem. Here, we’ll break down the components of an IoT platform, explain common IoT platform functionality and share considerations for when an IoT platform is necessary. What Exactly is an IoT Platform? In its most general sense, an IoT platform is the glue that holds the system together. Depending on the software, this means that the platform will handle data collection and analysis, device communication, situational awareness, intelligence, and more. More importantly, a good platform will ensure that you and your staff connect and collect the right data so that you can act quickly and effectively within the context of your business. The apps and interfaces that provide access for users. Within the value chain, there are numerous technologies in place that help gather, move, and interpret data based on your needs. An IoT platform functions ostensibly as a software interface between users and devices, which means that it affects everything from device management, analytics, and human interface. In logistical terms, platforms are toolkits that manage your remote devices, manage the movement of data, and manage the context in which that data is processed and visualized. 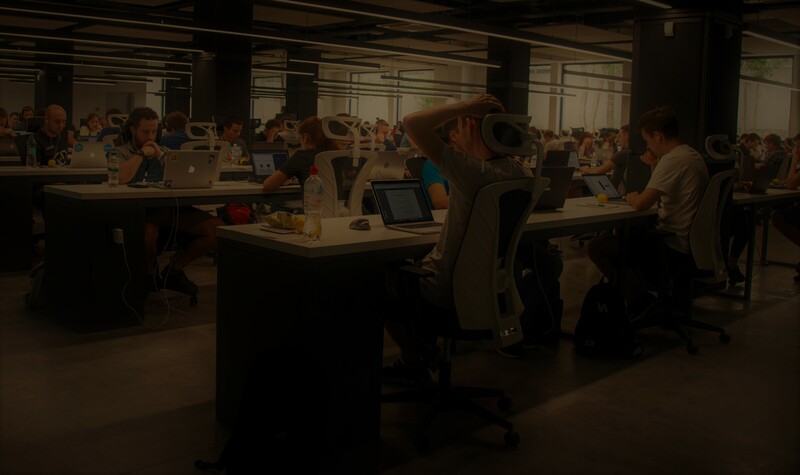 Device Management: The platform is a contact between you and your devices, providing you with tools to manage their operation based on gathered data. And, if your IoT network is going to rely on low-latency, on-site intelligence from your smart objects, then a platform can also coordinate fog and edge computing closer to those objects. Integration: Data needs to get from your remote devices to cloud processing servers, typically over multiple wired and wireless communication and security protocols. IoT platforms facilitate this by making data transport protocol-agnostic. Data Management: IoT projects result in an abundance of data. IoT platforms ingest, store, track, analyze and visualize data from devices, IT systems, external resources, and user inputs. Application Development: This includes software to enable business applications that utilize and communicate data to accomplish common or specific business functions. 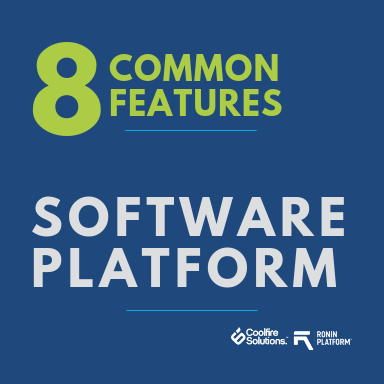 You might question whether an out of the box platform could fit your specific business needs. It is important that an IoT platform has the flexibility to adapt to your operational needs while also providing a robust set of common features. Implement microservices that connect multiple, larger segments of the network like scheduling, geospatial mapping, and mobile messaging. 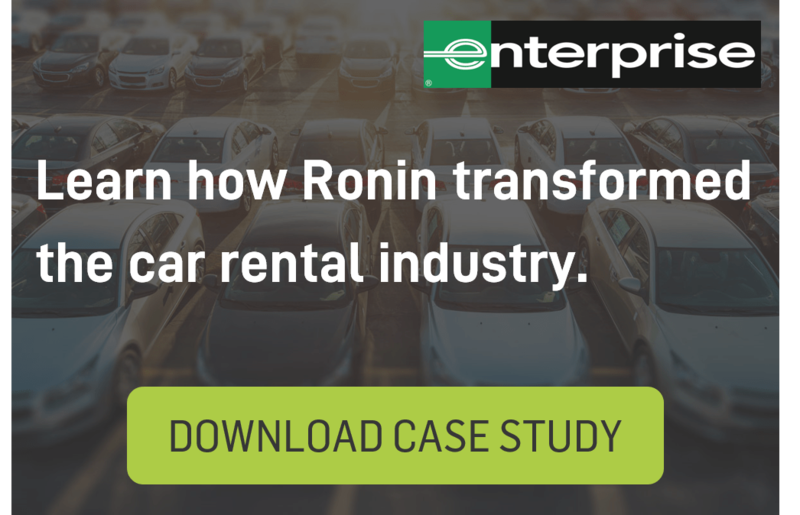 Ensure consistency and reliability through device management and failure recovery. 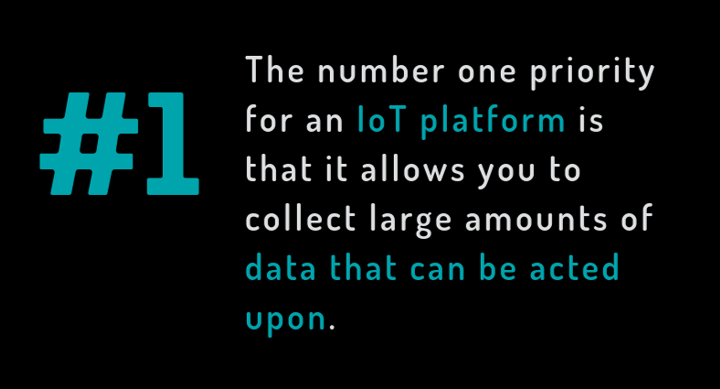 An IoT platform allows data-driven industries to collect and connect users, systems, and data. These platforms greatly benefit industries transitioning into digital businesses by improving the availability and production of data within the organization and with external business partners. When evaluating IoT platforms, it is essential to find a platform flexible enough to adapt to your specific business workflow and goals. A solid platform will allow you to frame collected data in a context that makes sense for your business, that helps you and your team better understand the challenges of your business operation. At the end of the day, the number one criteria for a suitable IoT platform is how it allows you to collect relevant data that you can act upon. Outlining your goals and understanding the kind of data you’ll need to accomplish those goals will highlight the kind of actionable intelligence that your platform should provide. It’s at that point that you can make a clear assessment of the platform that will fit your IoT project.